In takeover parts the capability of the tooling is a wild card. Difficult times can impact maintenance. 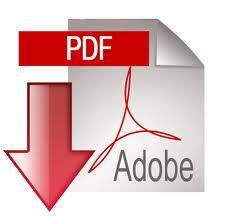 Tools that are believed to be to print may be on the ragged edge, or even have gone beyond. Time is even more of the essence since the rest of the program is already up and running. 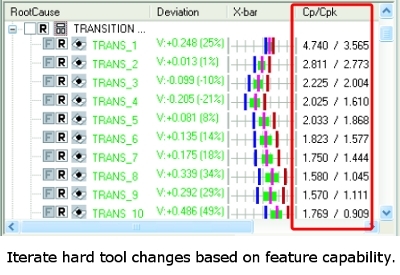 LaunchRite gives you the tools to evaluate process capability in a few minutes, and restore it to robust capability in a few more minutes. Learn how Pridgeon & Clay are using LaunchRite to take away the risk of takeaway parts. 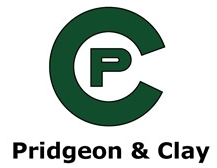 Pridgeon & Clay, based in Grand Rapids Michigan with additional facilities in Europe and Mexico, is one of the largest independent, value-added manufacturers and suppliers of stamped and fine blanked components for the automotive industry. The full-time workforce is over 1,300 worldwide. For a takeover part the OEM requires a sample submittal and process capability of critical features of 1.67. Parts are to be to print and process capable prior to moving to Pridgeon & Clay, but the previous supplier is shutting down and lacks the resources to repair the tool. The part is already in production. Fortunately, the part is produced by a progressive die in several operations at different stations. This allows a more creative approach than if the parts were produced as a single draw between one cavity and one core. The first run of parts failed the gage checks. Gage and CMM results also disagree. Pridgeon & Clay use LaunchRite to determine the root cause and best fix. LaunchRite leverages a unique integration of statistical methods and best fit technology to dramatically increases the number and scope of iterations while simultaneously reducing iterations of the hard tool 85%-90%. The first step is to eliminate the conflict between CMM and gage data, using LaunchRite’s soft gage capability. The next step is to identify major deviations and the process capability of each feature. The second step is to isolate the root cause and the least-cost solution. Engineers know the process is capable, the tolerance range of each feature, can solve for multiple adjustments to multiple features simultaneously – and each simulation takes a few minutes. As a result the engineers are able to be much more aggressive, and uncover a best-fix scenario that would not have been evident with conventional trial-and-error methods. Simulation in LaunchRite eliminated the need for additional part runs, measurements and analysis. Corrective actions are minor. Some welding and grinding are required on the die, and one die station is shimmed. LaunchRite automatically generates a Capability Report, PPAP and other data needed for buyoff. The resulting tool is robust. It withstands several years of operations, with process variations due to steel, lubricant, press speed, etc., without further maintenance.